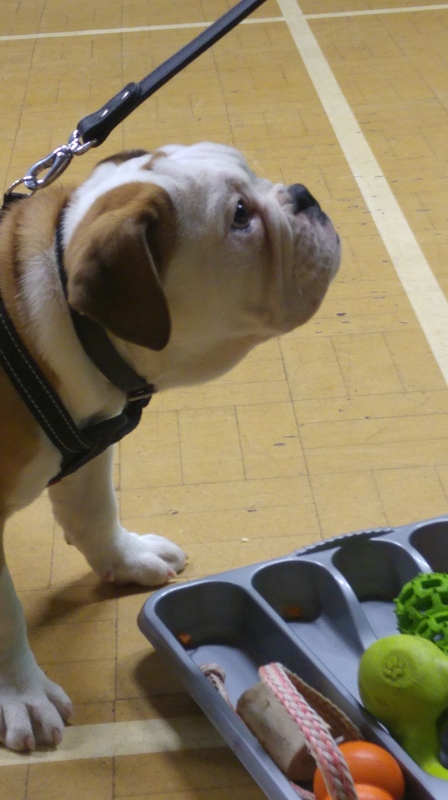 Arthur learning that looking at his owner Feels Good – even better than a Treat Tray! 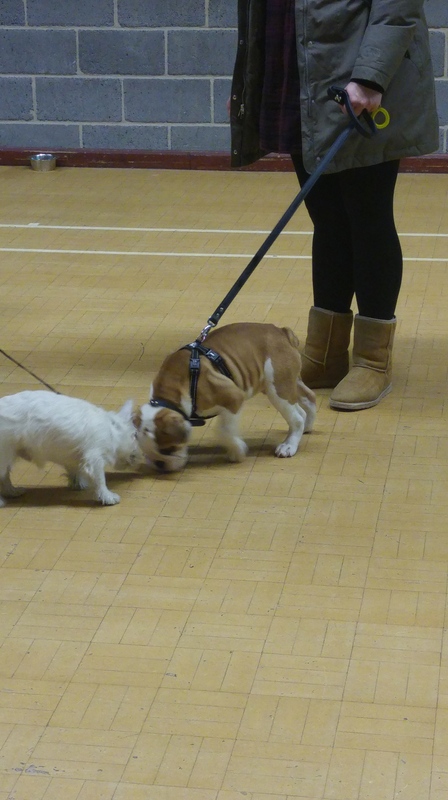 Arthur and Reggie learning to greet each other politely. There were a few bits of play, then both boys looked back at their owners. They quickly learned that playing politely Feels Good, and referring back to whoever is on the end of the lead Feels Really Good. This means their owners will have happy, well-socialised pups who are easy to call away from other dogs when it’s time to move on. 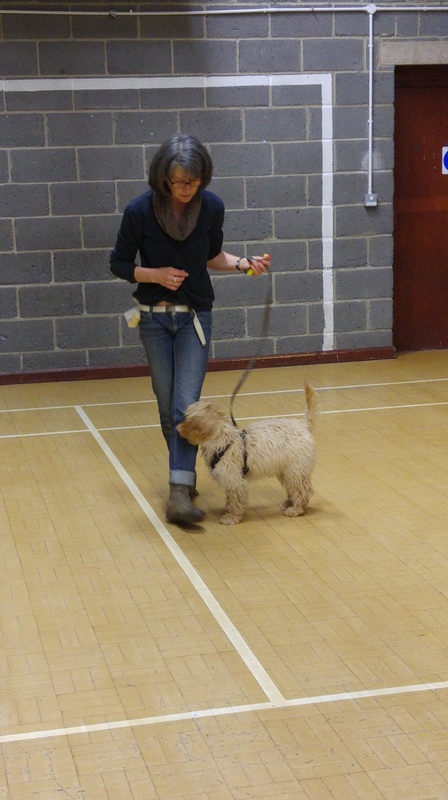 Sweet little Murphy learning how to walk with a loose lead. He’s developed a bit of a Ping at home, and is tending to rush back for a treat when he gets to the end of the lead, then scurry off again. Changing direction when he came back to me soon had him guessing where we might be going. Instead of pinging away, he started to calm down and walk next to me nicely. This pic was early-on, when he was working out that standing in front of me meant we went a different way than he was expecting.